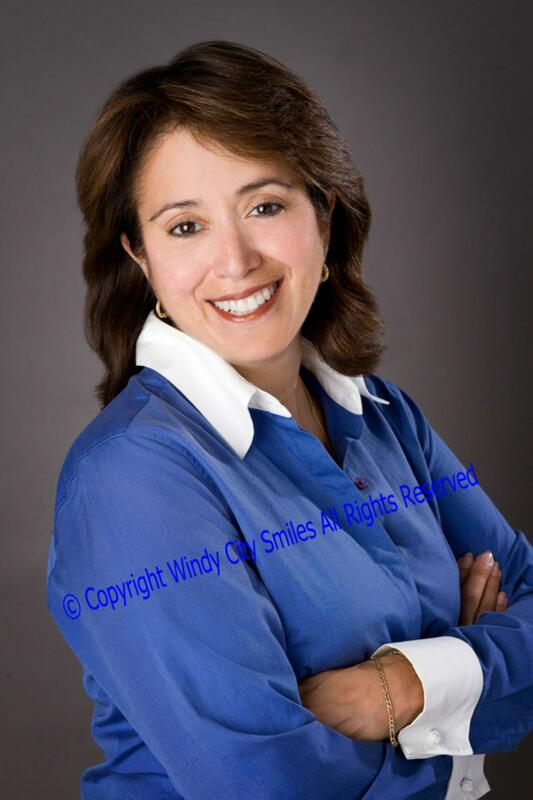 Windy City Smiles is Chicago’s premier dental practice. We are pioneers in Cosmetic Dentistry and Laser Dentistry, which allows us to deliver No-Shot / No-Pain Dentistry ensuring our patients receive the finest care and highest-quality minimally invasive treatment available. While we view oral health as a vital component to the total health and well-being of our patients, our focus is not limited to dentistry. Our mission is to ensure that each individual remains healthy in all aspects of their lives. 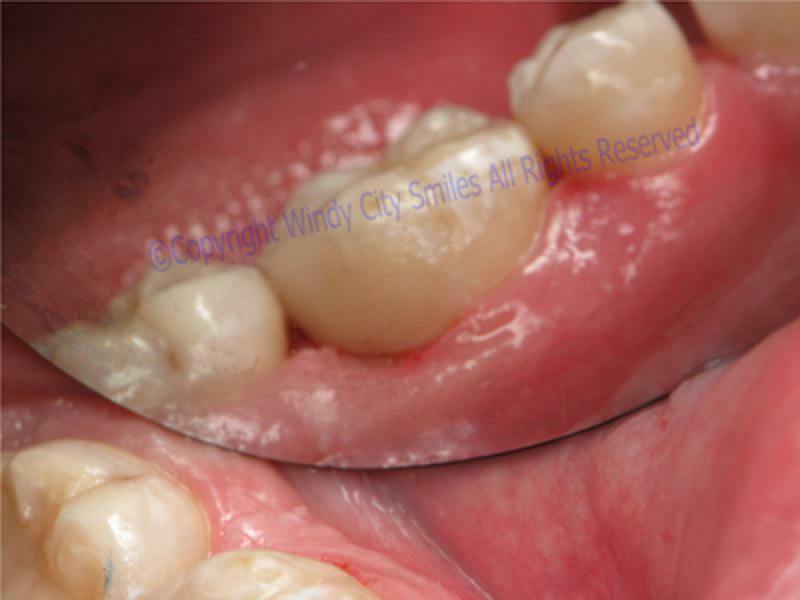 Windy City Smiles uses the latest technology to provide you and your family with the highest quality care. We have replaced our traditional dental drill with the Biolase® Waterlase® laser to provide No-Shot / No-Pain Dentistry ensuring our patients receive the finest care and highest-quality treatment available. Make your appointment with us online! Many patients find that with the Waterlase®, they no longer need painful, uncomfortable anesthetic shots. They leave the office without feeling numb! You will be out of our office quicker, because the Waterlase® enables us to work faster than with the traditional drill. This means that you and your family are out of the chair and back to enjoying life as soon as possible. If you are disturbed by the whine of the dental drill you will be pleasantly surprised at the quietness of the laser. 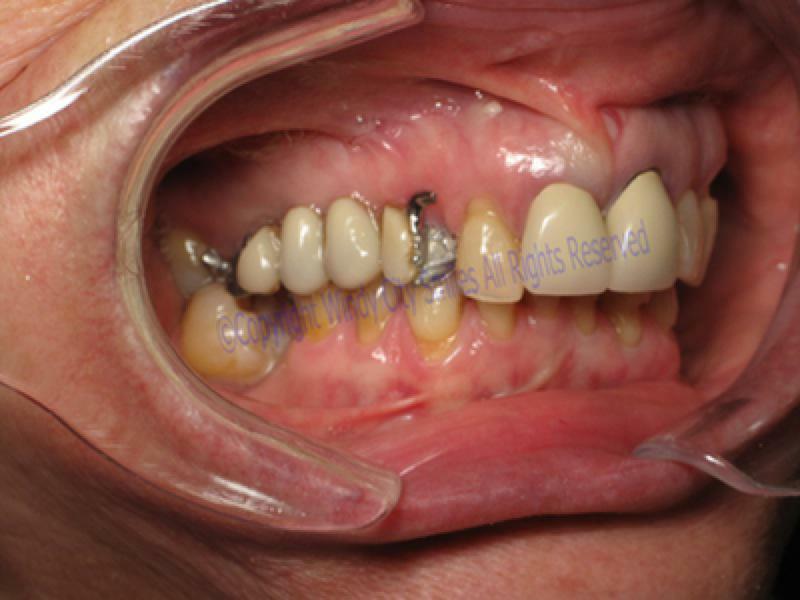 Your fillings last longer because the laser enables them to bond more securely to your teeth. The Waterlase® makes surgical procedures more comfortable because there is less bleeding, less swelling and faster healing than with using traditional instruments. Dr. Frances Cavero has been practicing in the Chicago area for over 15 years. Her passion for dentistry started early — she comes from a family of dentists and health care professionals. Dr. Cavero earned her Doctor of Dental Surgery (DDS) from Chicago’s Northwestern University and received her Bachelor’s Degree from Loyola University. For Dr. Cavero, patients come first. She strives to educate her patients so that they are aware of all treatment options and any decision they make is a thoughtful, informed decision. She stays up to date on the latest technologies, procedures and equipment to make sure she provides the highest quality care – and her patients can tell. Dr. Cavero enjoys using her dental skills to inspire confidence in her patients. Her care enables patients to feel a real transformation that improves their self-confidence and comfort in social settings. 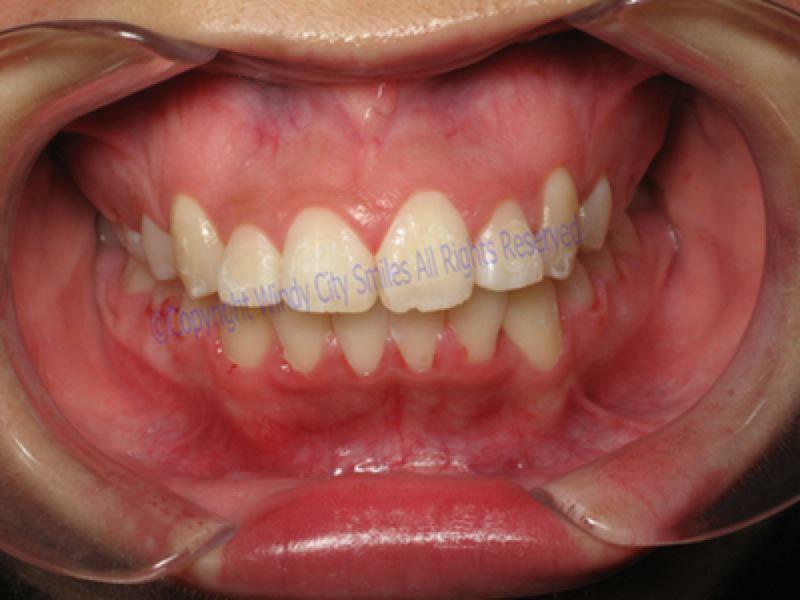 We offer a variety of general and cosmetic dental services. In the general and family realm of dentistry, we provide general examinations, oral cancer screenings, digital x-rays (80% less radiation), soft-tissue management programs, and long-term dental health strategies. Our cosmetic dentists use the highest quality materials (veneers, crowns, & implants) to create the smile of your dream. We offer complimentary cosmetic consultations for those interested in cosmetic & restorative dentistry. 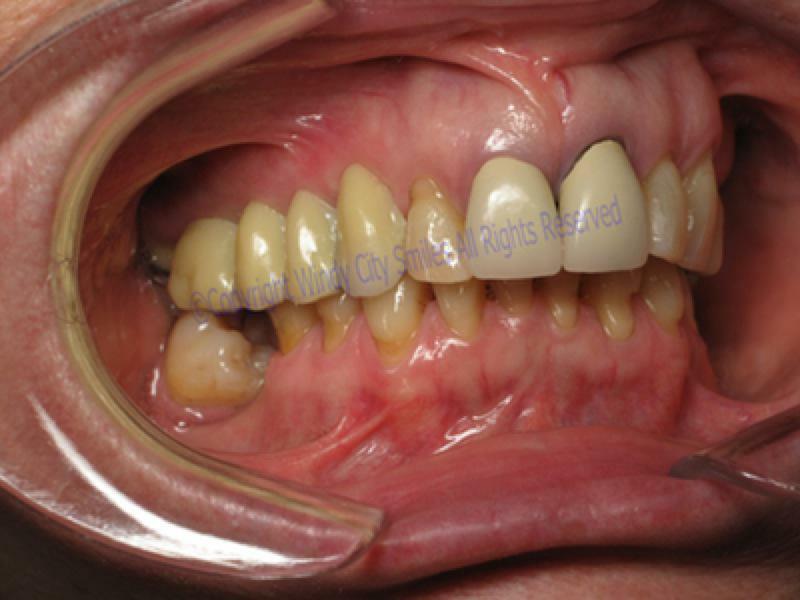 The implant process is usually done with local anesthesia. 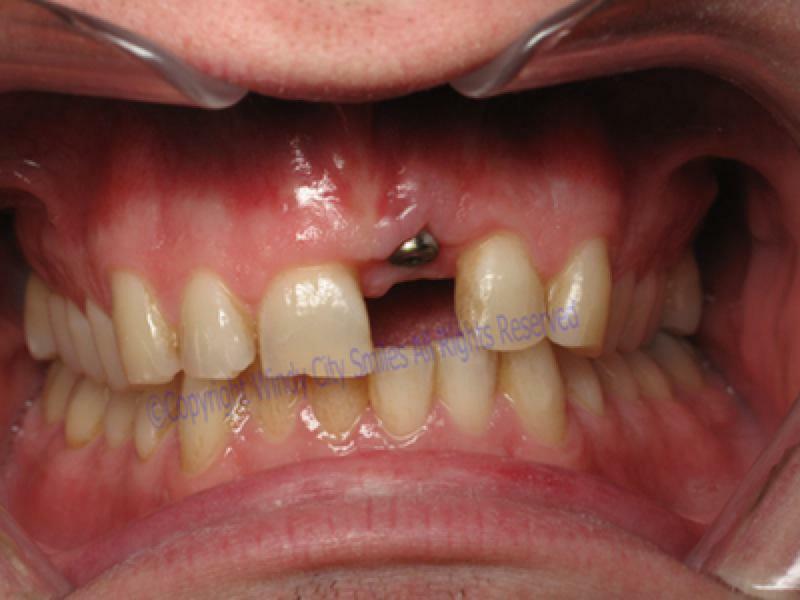 96 percent of dental implant are successful. 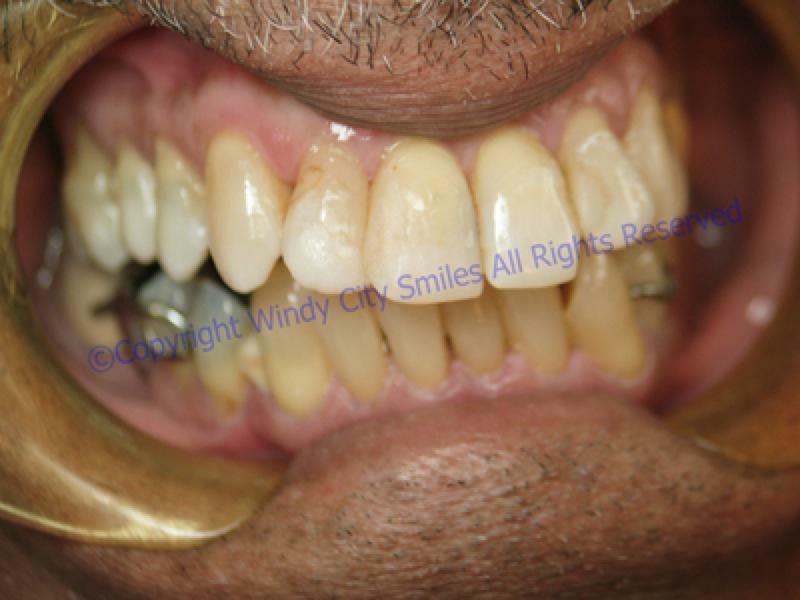 Windy City Smiles uses a variety of methods to whiten teeth. 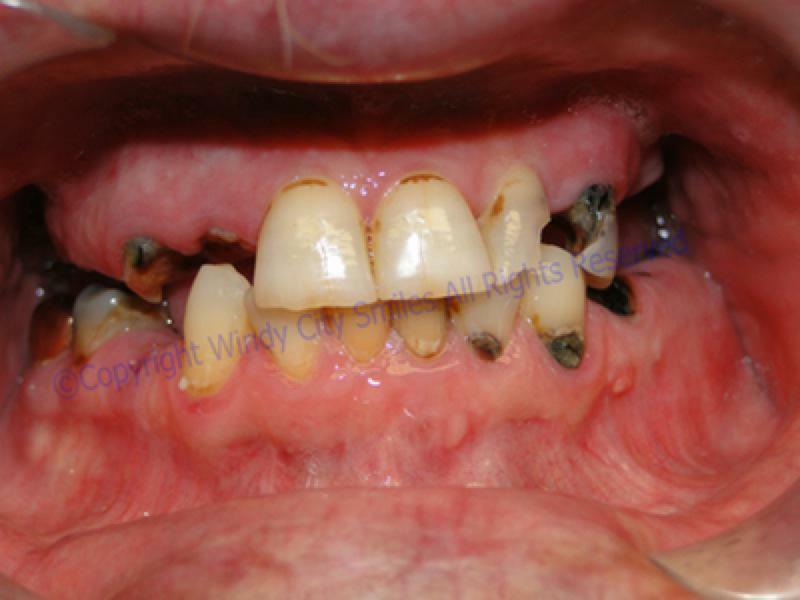 This treatment is great for smokers and coffee drinkers whose teeth have darkened; or for people whose teeth have darkened naturally over time. 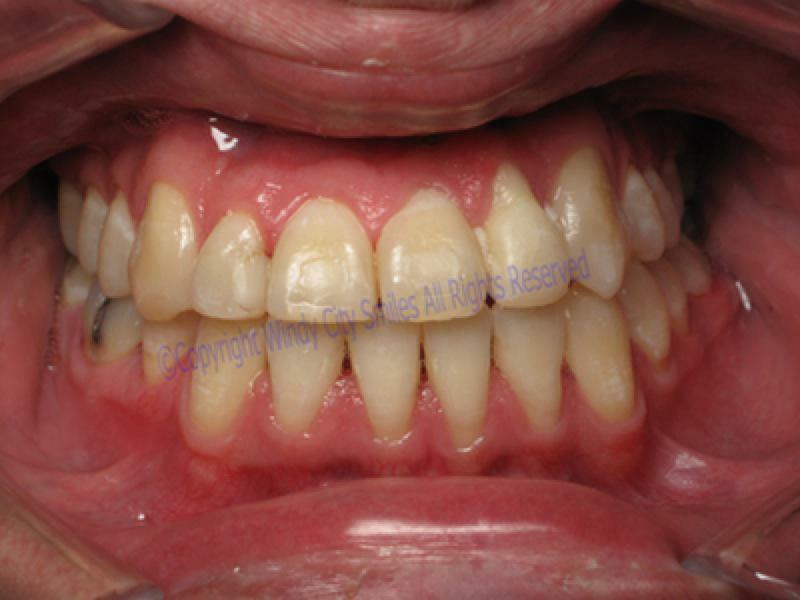 Laser treatments can be used to whiten even the darkest teeth (Tetracycline Stains) with astounding results. 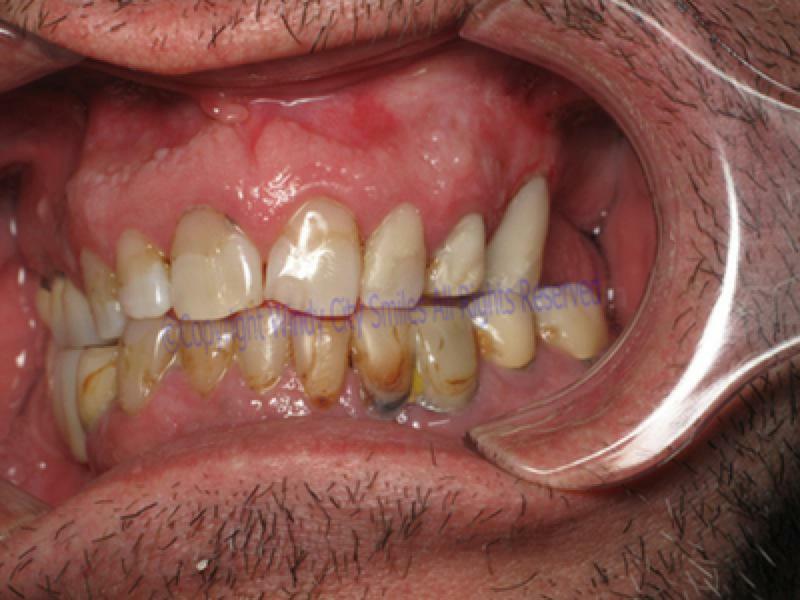 For less severe cases, a peroxide gel treatment can be used. In the past, dentists were limited to filling cavities with amalgams, which are metallic and silver colored. In addition to not appearing attractive, these fillings could cause your teeth to become sensitive and/or stained from the silver. This could darken the tooth. 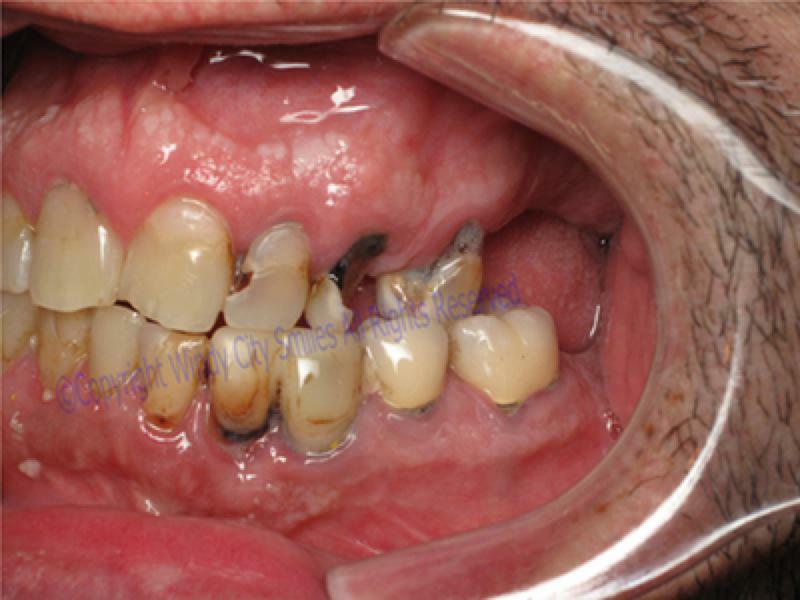 With the advances in modern dentistry, dentists are now able to provide fillings that look more natural. We offer the latest ceramic materials that restore and strengthen your teeth and look natural because they match the color of the rest of your teeth. 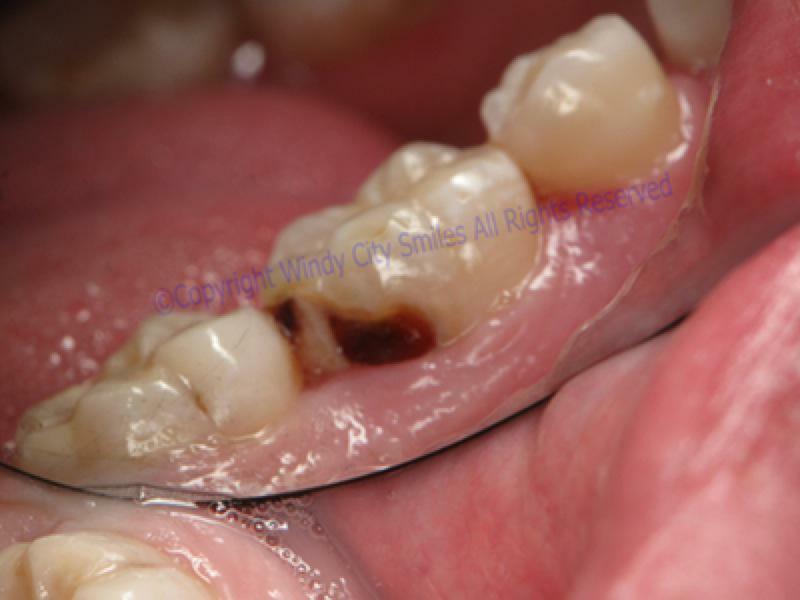 These composites last much longer than the amalgams because in addition to filling the cavity, the composite bonds to your tooth. Although porcelain crowns require the reduction of more tooth structure than veneers, they are generally stronger than veneers. 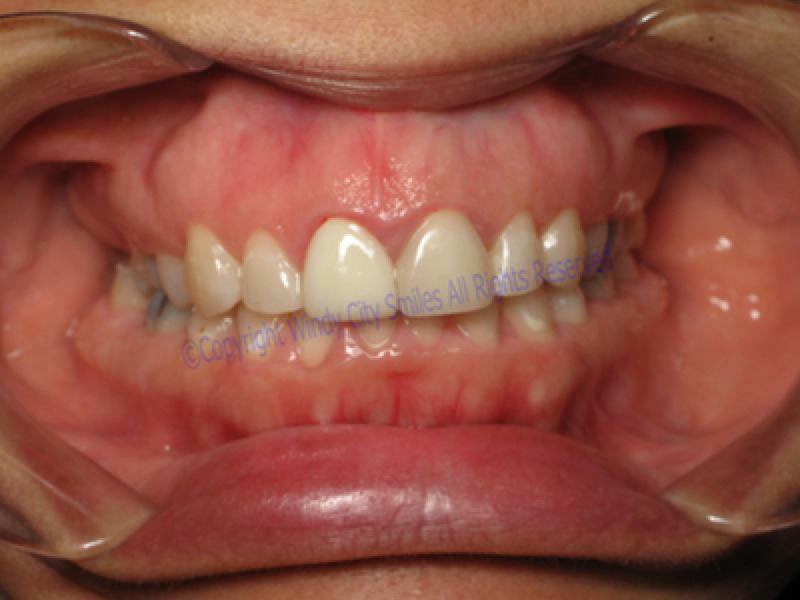 Porcelain crowns look like natural teeth and are often stronger than the original teeth. A new crown should last between six to eight years. 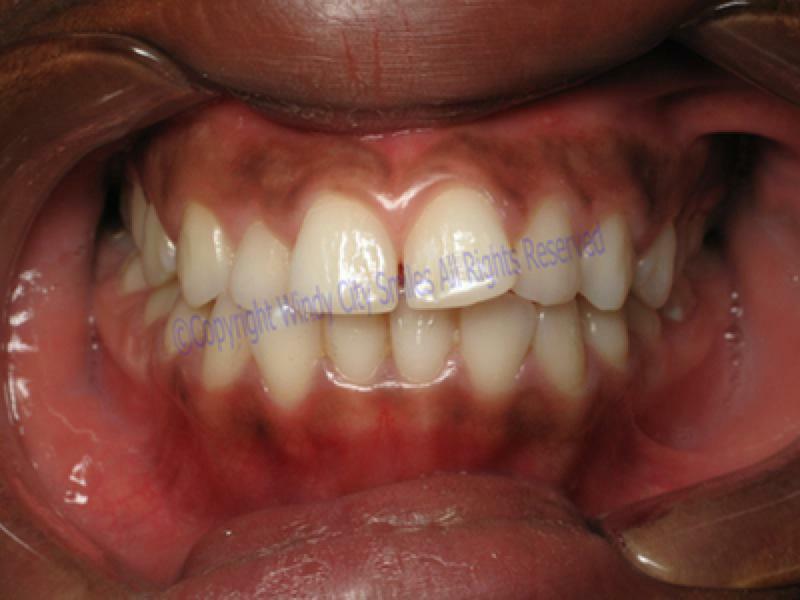 Crowns, however, can last much longer with the application of good oral hygiene and supervision. 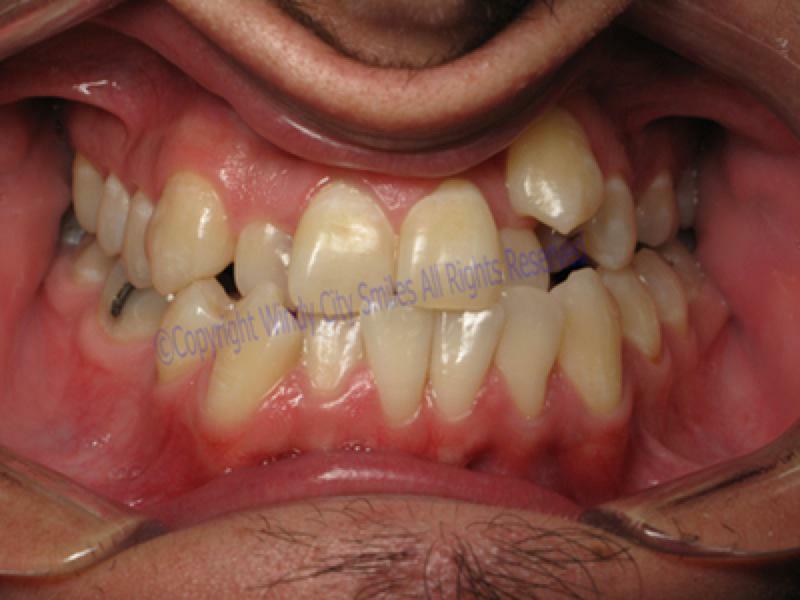 On the other hand, teeth grinding, ice chewing, and fingernail biting could significantly decrease a crown’s duration. 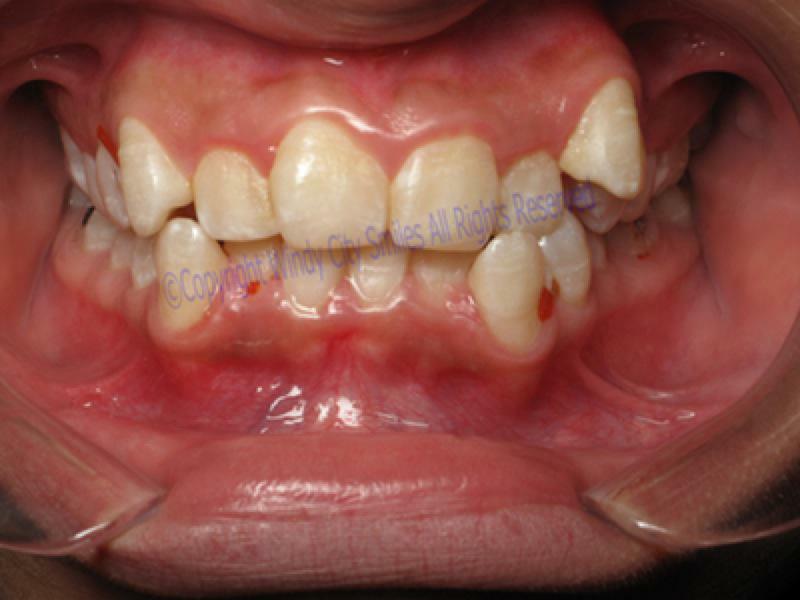 Uneven, chipped or discolored teeth are the easiest dental flaws to spot. 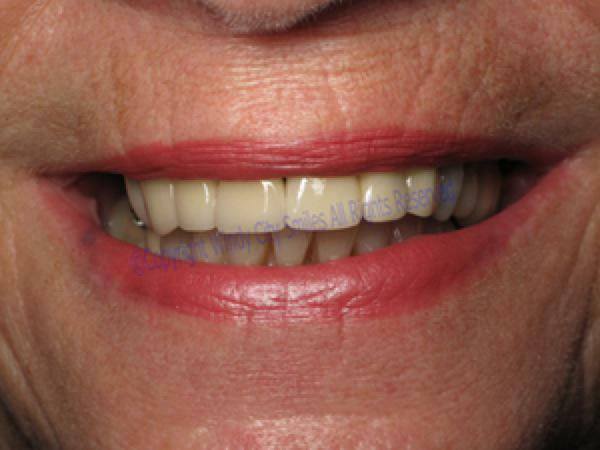 The application of porcelain veneers, however, can turn those flaws into assets.A porcelain veneer (also called a laminate) is a thin glass-like shell of porcelain that fits over any problem teeth. 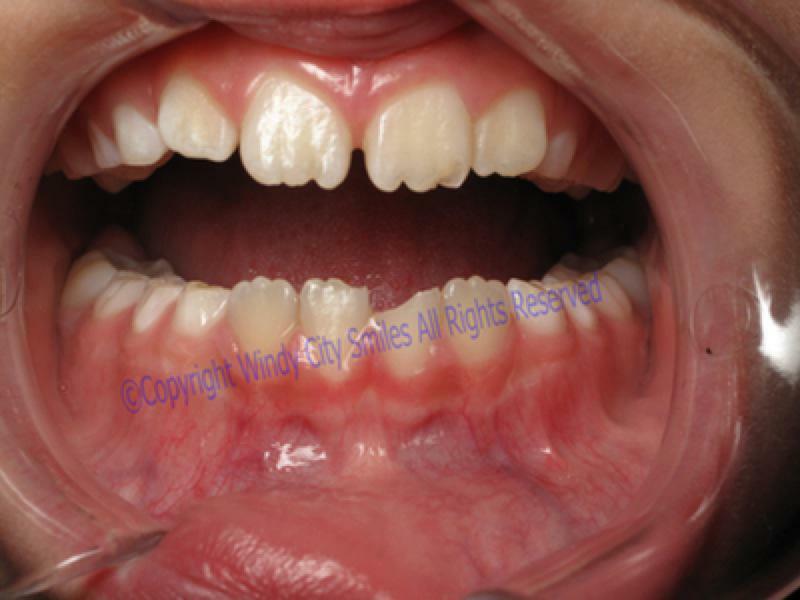 Veneers can be applied in just two visits, require little or no anesthesia and are well suited to repairing front teeth. 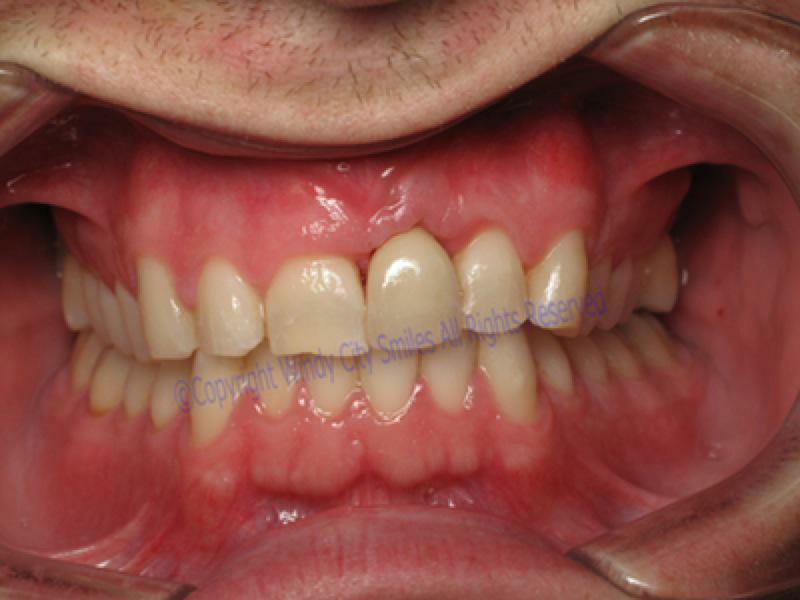 To read more about the veneer procedure, click here. Maintenance is a simple matter of routine oral care, based on regular brushing, flossing and rinsing. 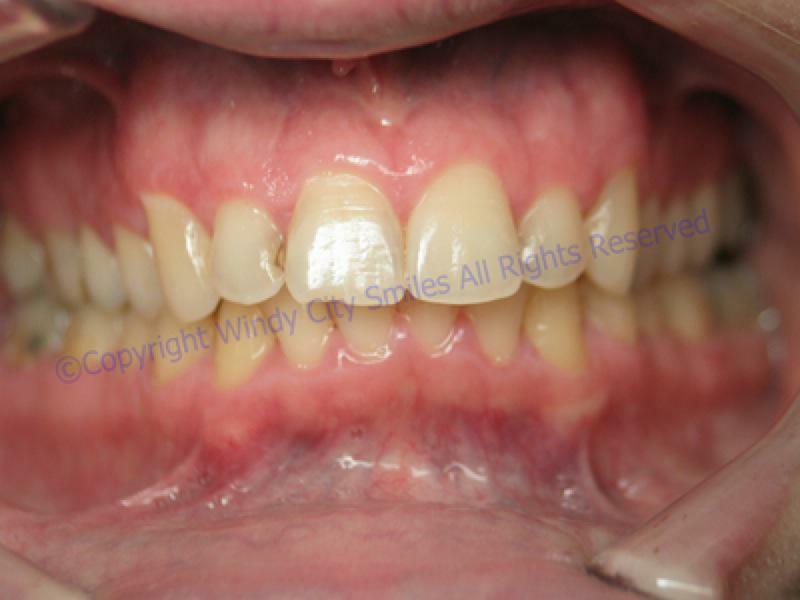 Call Windy City Smiles today at (773) 588-SMILE (7645) or email us to schedule your appointment and learn more about porcelain veneers. 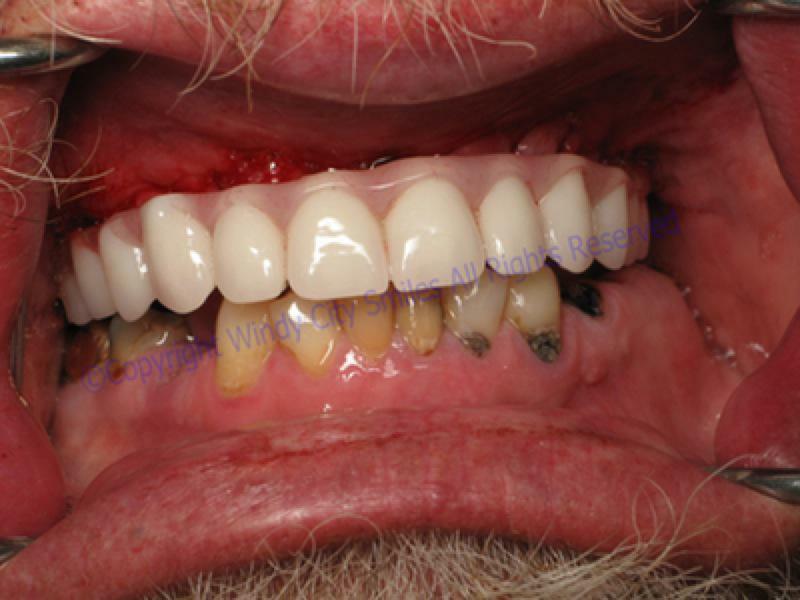 Dentures are used to replace missing or damaged teeth. They are made of acrylic resin and are removable. 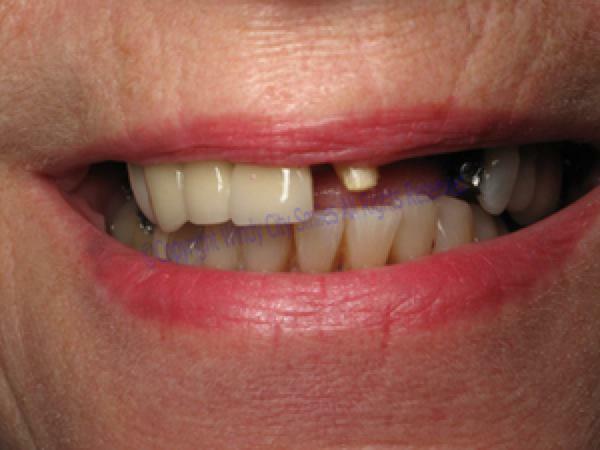 Dentures can replace either some or all teeth. 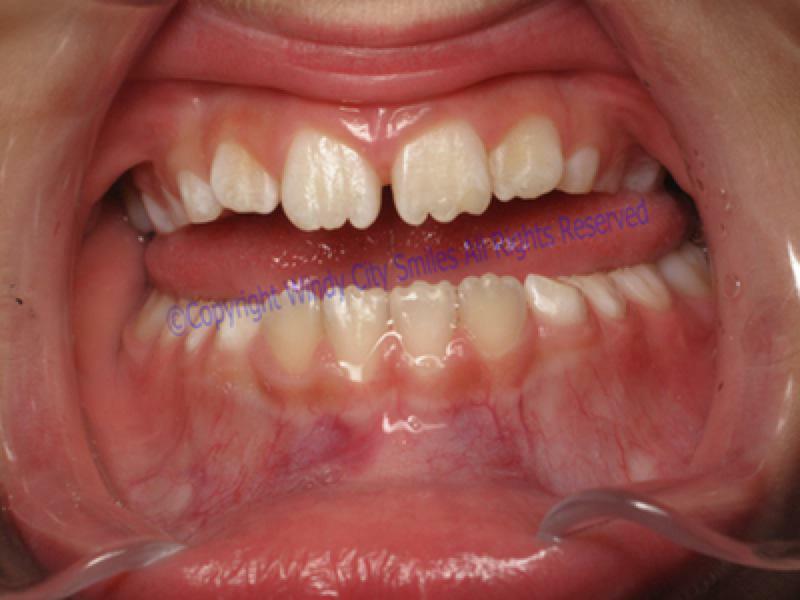 Dentures can help make speaking easier, improve your chewing and help your digestive system. They can also provide support for your facial muscles. 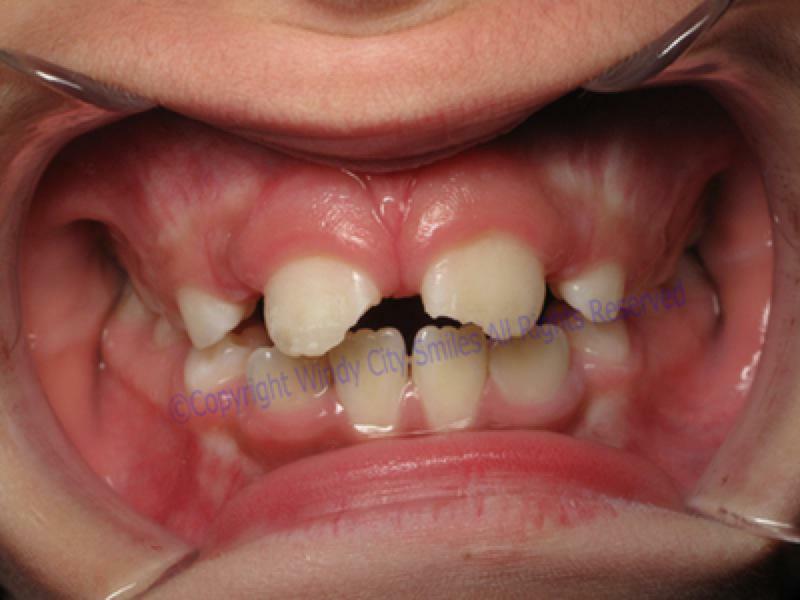 Bridges are permanent replacements for missing teeth. 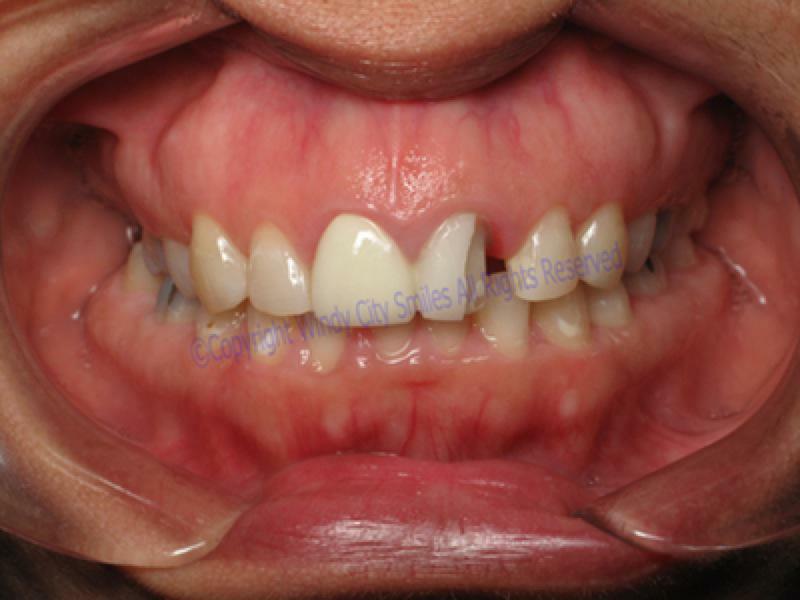 They can be made of porcelain or ceramics/composites to match your existing teeth. 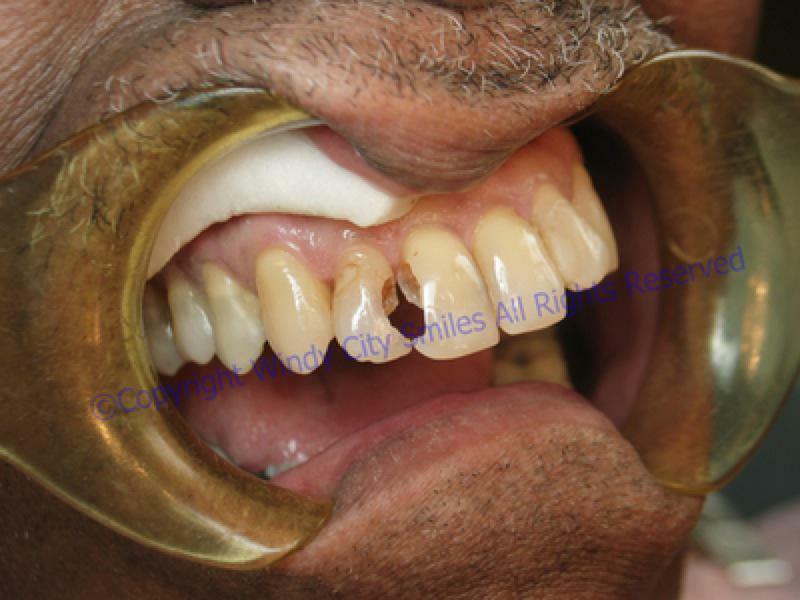 They differ from dentures in that you do not have to remove them overnight. 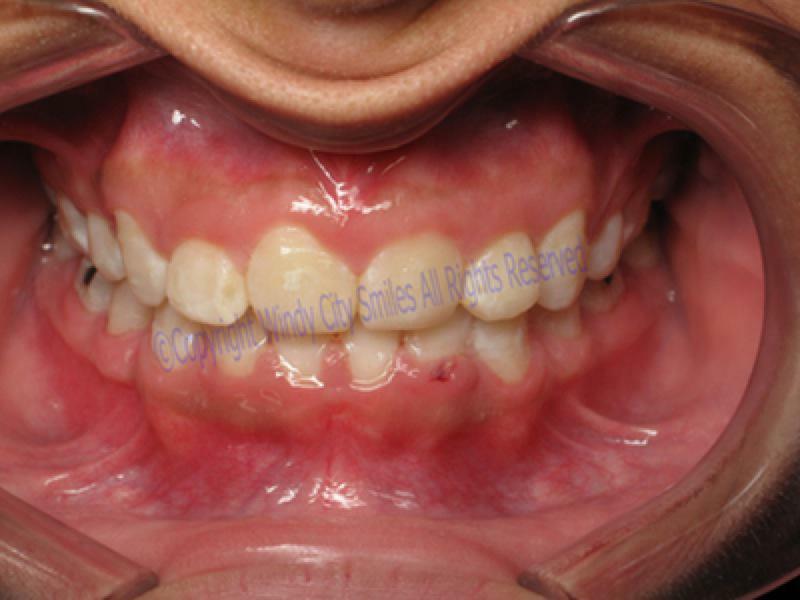 Bridges are created by using your existing teeth as “anchors” for the replacement of the missing teeth. “I went to see Dr. Cavero to have a cavity filled. Normally, I cringe when I think about having to get a shot to take away the pain. However, Dr. Cavero used a laser to treat my cavity, not a regular drill. I was amazed. I didn’t have any shot and I didn’t feel anything the whole time she was drilling my tooth. In fact, I couldn’t even tell my tooth was being drilled. I was also pleasantly surprised because the process was a lot faster than when a traditional drill is used. “Hello, my name is Mimi W. I am 39 years old, married mother of two, and a Middle School teacher. I was born in 1964 prematurely with upper respiratory complications. The chronic bronchitis that I endured throughout my childhood was treated back then with tetracycline. Doctors were unaware of the repercussions of this antibiotic until years later. Needless to say, when my permanent teeth came in they were severely stained. As far back as I can remember, I was always told by my dentists at each six month cleaning and check up that there was nothing that could be done for the stains. 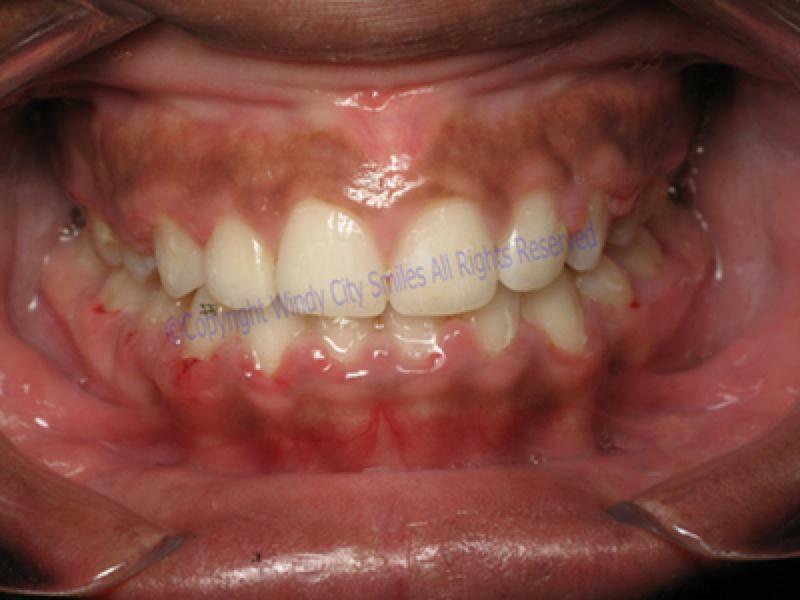 Tetracycline stained permanent teeth from the inside out. I was always very self-conscious of the way they looked, so I rarely smiled. 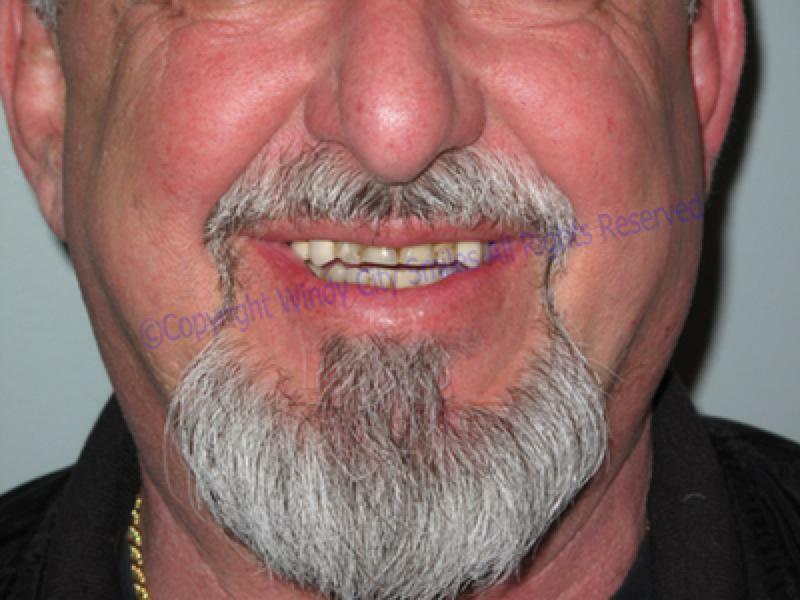 A former dentist of mine had suggested veneers. This would require chiseling down my teeth. Other than the stains, I had never had a single cavity. What more could I want? Dentists would rave at the fact that my teeth were almost perfect. Almost was not enough for me, so I sought out a second opinion. Dr. Cavero introduced me to the advanced laser treatment. I was assured that this state of the art procedure would remove the unsightly stains. It was a miracle! The results were phenomenal! I could not believe my eyes! I could finally smile without feeling self-conscious after all these years. 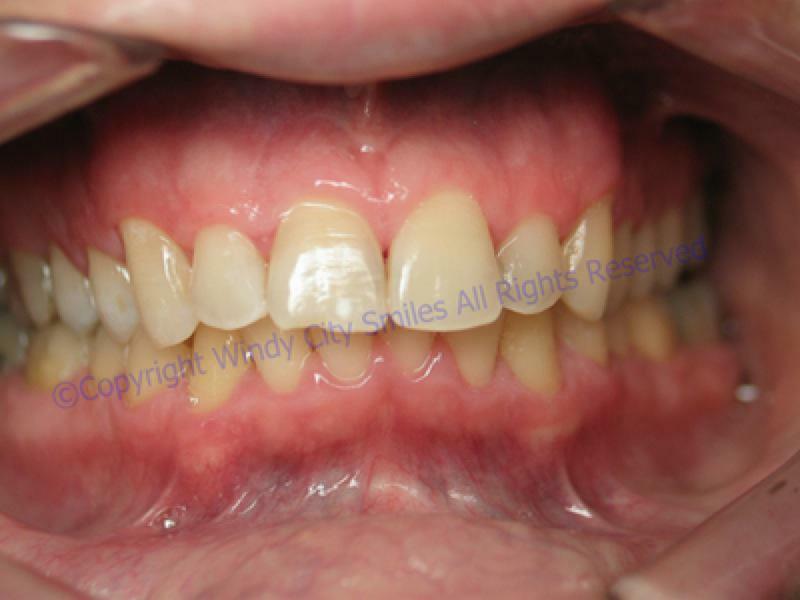 Upon completing the treatment, impressions of my teeth were made so that I could follow up with a bleaching system in the comfort of my own home. Friends and family have noticed the difference. My mother in law Pat was one of the first ones to comment. 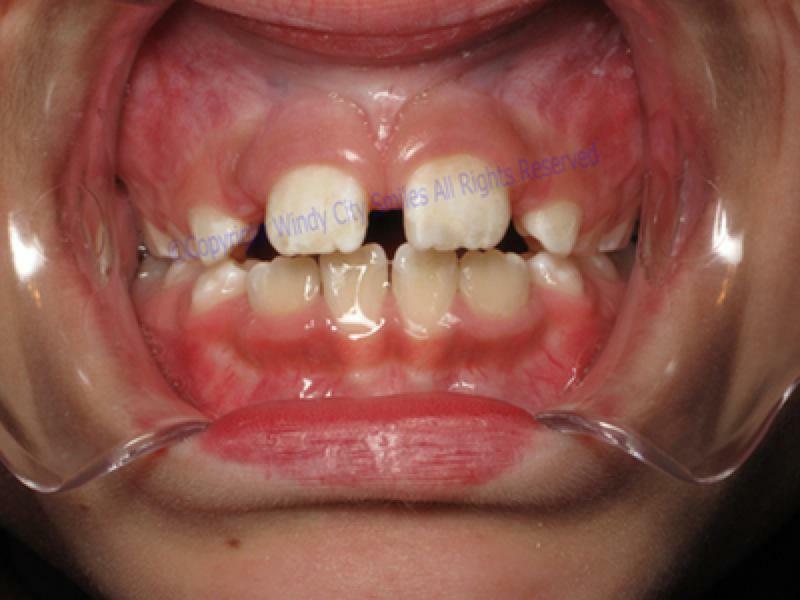 “Mimi…your teeth…they look fantastic! 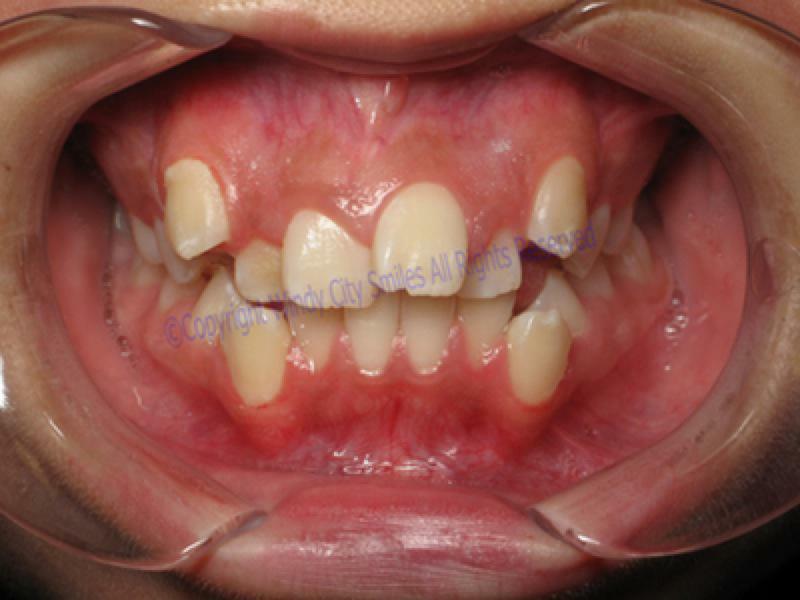 In the 15 years that I have known you, I wondered what caused the damage to your teeth, and I was always afraid to ask.” I shared my recent experience with her, and she agreed that I had made a very wise decision. My close friends and colleagues were mesmerized with my new smile. Highly recommend to anyone looking for a Great dentist. 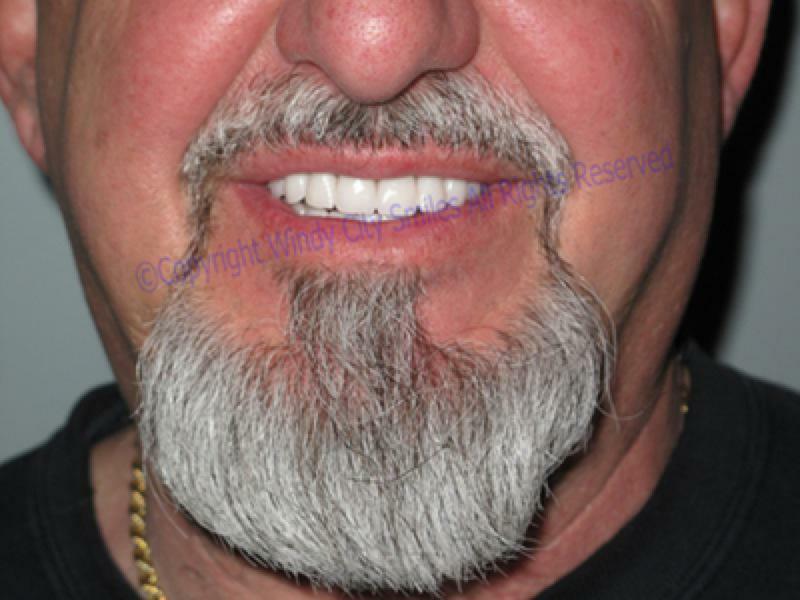 I have been going to Dr Cavero for a couple years, meanly for all my cosmetic dental work. The staff and dentist are very friendly professionals. Dr Cavero has done an amazing job with my teeth, I'm smiling more then before I'm 100% satisfied with her work!!!! !